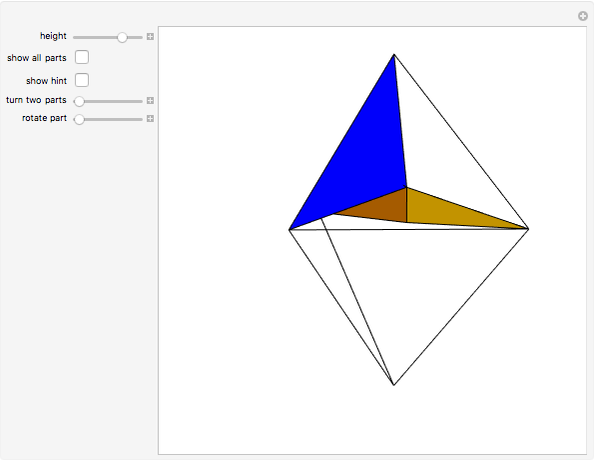 This Demonstration shows Gerling's (1844) dissection of an irregular tetrahedron into 12 symmetrical tetrahedra using a circumscribed sphere. 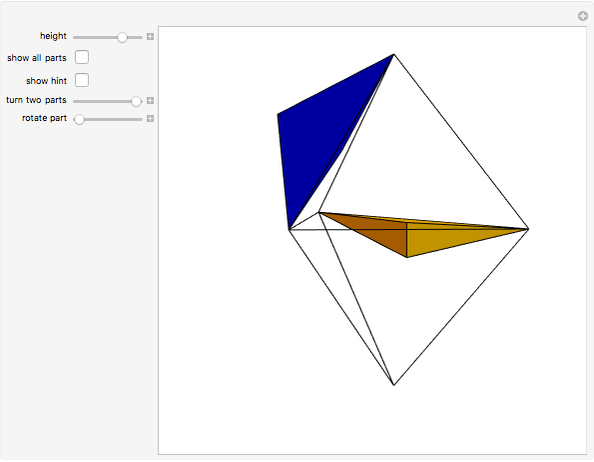 The vertices of a piece are two vertices of the tetrahedron, the center of the circumscribed sphere and the orthogonal projection of the center on a face. The pieces can be reassembled into the tetrahedron's mirror image. G. N. Frederickson, Dissections: Plane & Fancy, New York: Cambridge University Press, 1997, 2002 p. 231. 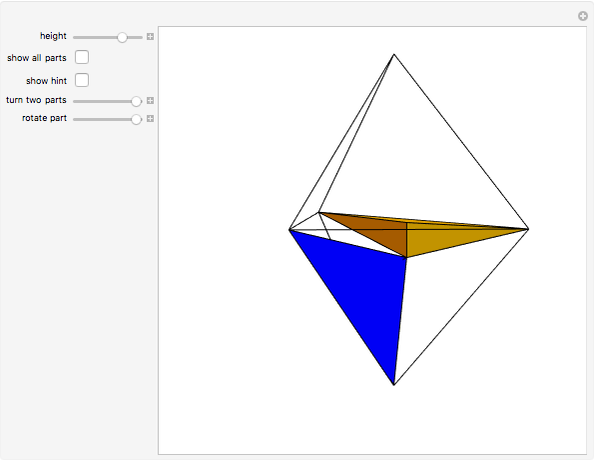 Izidor Hafner "Gerling's 12-Piece Dissection of an Irregular Tetrahedron into Its Mirror Image"